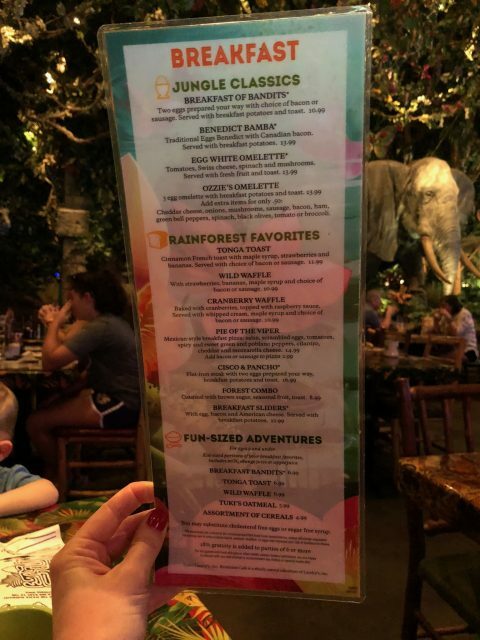 We started our morning at Animal Kingdom with a reservation at Rainforest Cafe. There is one at the Mall of America close to us, but we never go there so I thought it would be a fun experience for the kids. As soon as I told our server that I had Celiac Disease, she sent chef Julio out to talk with me. 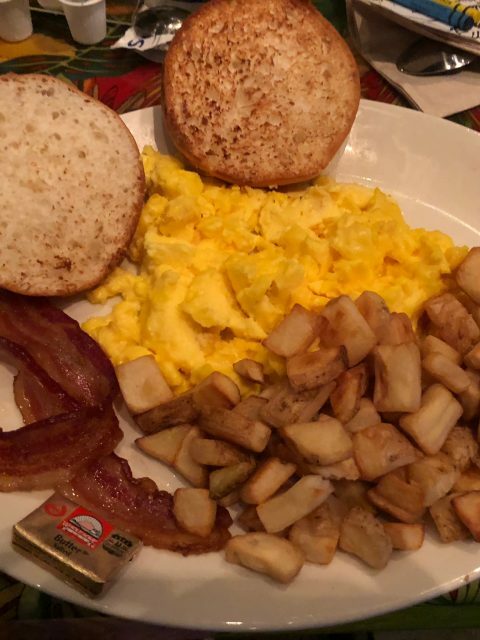 He offered me the platter which was the basic eggs, bacon, potatoes and gluten-free “toast”, aka a toasted bun, or an omelet. BORING! I got the platter and it was just fine. It was food and I trusted that the chef would handle it safely for me. I was also really disappointed that one of the main gluten-free kiosks, Terra Treats, was closed the entire day we were there. That would have been an awesome place to get some apple and pear cider beer and some snacks. 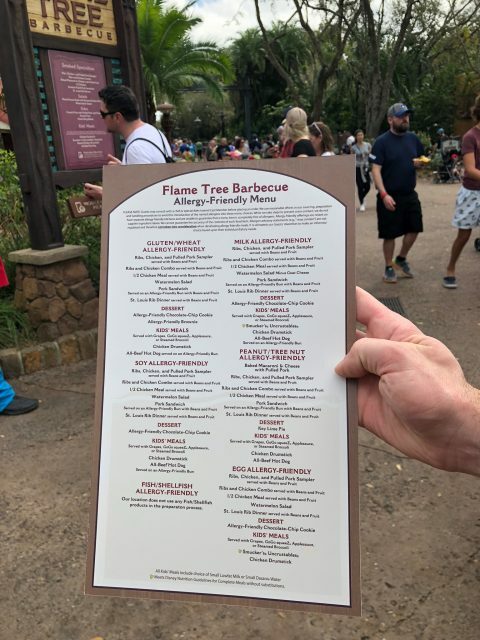 I had lunch at Flame Tree Barbecue. I went at peak lunch time and the line was LONG. Since I ordered an “allergy” meal, it takes longer to get your meal since someone is preparing the food separately for you. I watched as all the regular food was being brought out with all the gluten crumbs flying all other place and I was really worried, but again the coordinator came out from the back with my special meal and with gloves on. I asked him to get me some extra beans with my meal because the guy taking my order said they weren’t gluten-free, they are FYI. He again changed his gloves and went in the back to get that for me. Food was very, very tasty. I got the platter with chicken, ribs, and pork so I could try all of them. I didn’t use the condiments because I didn’t know what was in them and I didn’t feel like going through the trouble of asking. 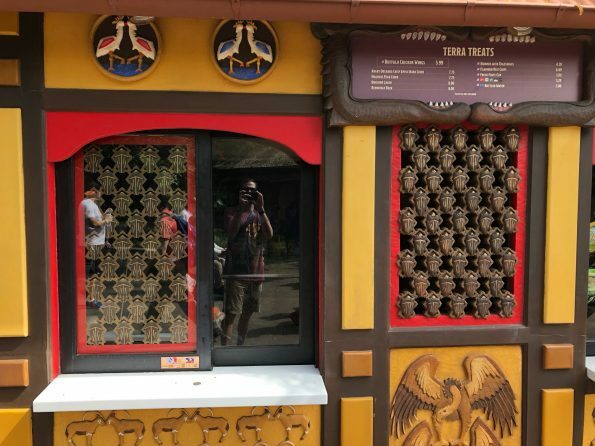 Here they offer sweet roasted pecans or almonds at some of the snack stands, along with popcorn and ice cream treats and things like that. I was able to look at the allergy book and confirmed the nuts are gluten-free so I got the pecans and those were tasty to snack on. 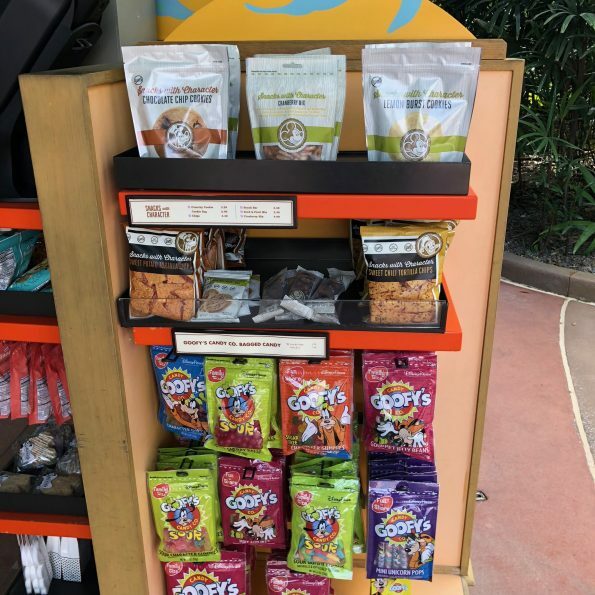 I also found a little stand within the Conservation Station (which you have to take a train to) within in the park that had some pre-packaged trail mix and cookies and things that were labeled gluten-free. We did the safari as one of our fast passes and it was so fun to see all the animals! 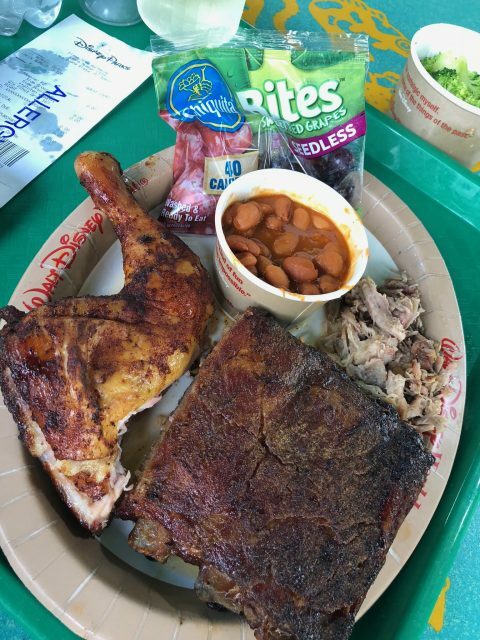 Links to my food reviews at the other parks we visited are here!